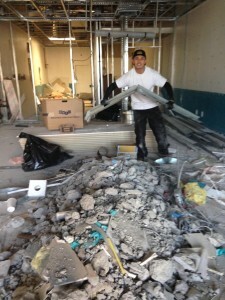 Construction debris removal can be a challenge. Especially when you have been piling up for last minute disposal. You ever feel like you’re so close to finishing a home or business remodel, and you look back and realized all the leftover debris is still sitting there? The challenge is deciding on renting a dumpster container, calling a junk hauler, or loading everything on their pickup truck and doing it themselves. ultimately contractors face the equation time over money and is something we all battle with daily. It takes time to get a permit from the city for dumpster drop off, and you just don’t have the man power to toss the debris away yourself. As a contractor you are face with last minute decisions on how to get construction removal done in a timely manner. With time crunching down, you find yourself in luck. 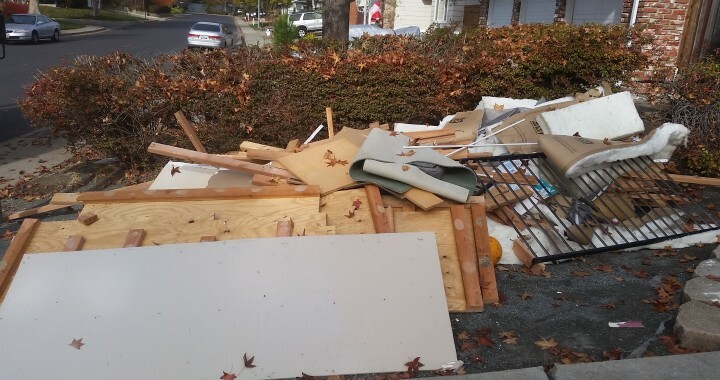 Here at West Coast Junk we can usually come on the same day to remove your construction debris depending on our schedule. We come with an 18 cubic yard dump truck and two fully licensed workers that load, transport, and dispose of all your debris. Just think of us like a dumpster rental, but on wheels with skilled workers to help you. When it comes to construction removal, it helps to plan ahead. Give yourself some time to get the job done and haul away. dumpster bins varies in size and price so call ahead and ask and see which dumpster plan works for you. If you decide you need a dumpster bin rental, we can help. Give us a call and get bins dropped off for your big projects. Keep in mind that there are different dumpster containers for different types of projects. Remember that hazardous material are not to be mix into general garbage. There are drop off facilities where hazardous material can be brought to. Some dumpster companies may have special hazardous containers. Please call your local dumpster drop-off companies for more information.